Appointments are available with our trained asthma nurses for all asthmatics for advice and supervision of treatment. 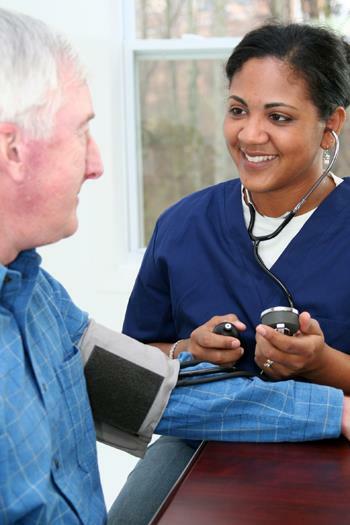 The doctor may also refer you to the nurses for diagnostic tests and changes of treatment. Appointments are available with our Diabetes nurse and doctor to provide you with a comprehensive and individual screening & monitoring service. Appointments are available daily during term time and most days during vacation. We also endeavour to see all women seeking emergency contraception on the same day. All doctors provide termination counselling services and referral. If you would like more information about individual methods of contraception or emergency contraception please see the Family Planning Association website. Since September 2008 there has been a national programme to vaccinate girls aged 12-13 against human papilloma virus (HPV). There is also a three-year catch up campaign that will offer the HPV vaccine (also known as the cervical cancer jab) to 13-18 year old girls. The programme is delivered largely through secondary schools, and consists of two injections that are given over a six-month period. In the UK, more than 1.4 million doses have been given since the vaccination programme started. What HPV infection can do? Appointments can be made at reception in the usual way. The clinician will be able to prescribe treatment if this is appropriate. Appointments for blood tests are available daily at the University Medical Practice Monday, Wednesday, Friday between 08.10am - 3.30pm, Tuesdays 08.10am -1.40pm and Thursday from 08.10am – 12.10pm. Appointments for blood tests are available Monday, Tuesday, Thursday and Friday at our Whitley Villa Practice between 8.10am and midday.